I have more vintage Easter postcards and cards in my store this week. You'll find just a few of these little treasures below. They are all available at: Birdhouse Books on eBay. 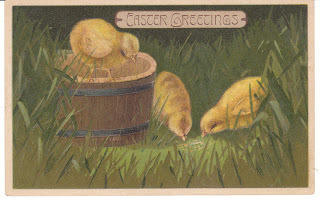 I have about 25 more vintage Easter cards to list and then I will be moving on to vintage children's books. One of my friends surprised me with three boxes of books from a wonderful local estate last weekend and I have some AMAZING vintage children's books to share with you. Soon, I promise! 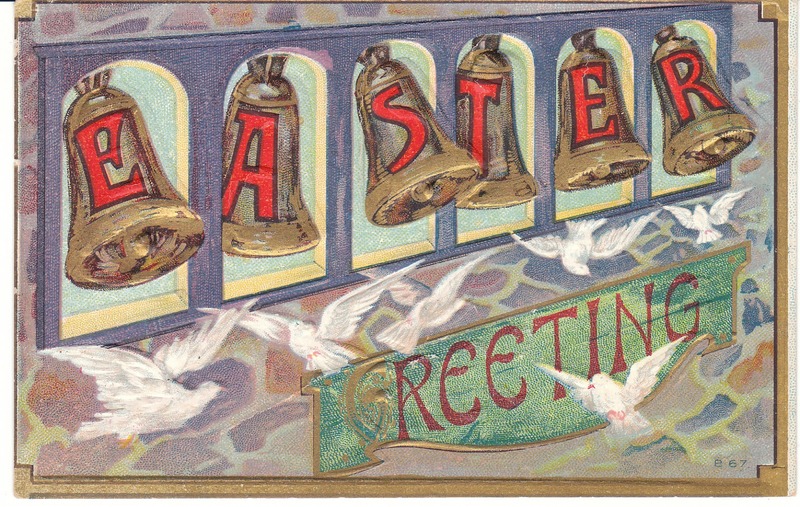 This unusual vintage Easter postcard is a variation on a "big letter" postcard. This lovely vintage Easter postcard features an angel in flight. 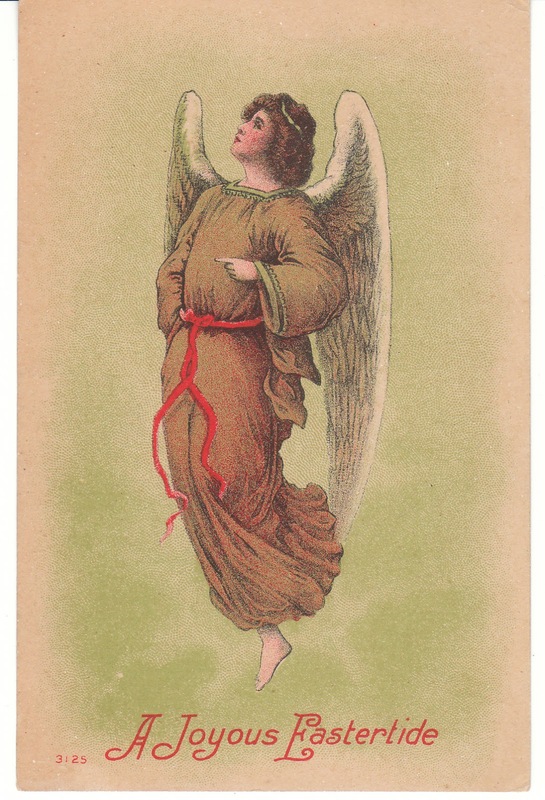 This lovely L.H. Conwell vintage postcard has an illustration of purple and white tulips. It would be so pretty framed! I love this sweet 1908 vintage Easter postcard with happy chicks in the grass, and sitting on an open barrel. 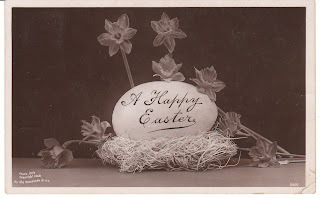 This unusual 1908 Rotograph postcard is a RPPC (real photo postcard) with a picture of an Easter egg and daffodils. 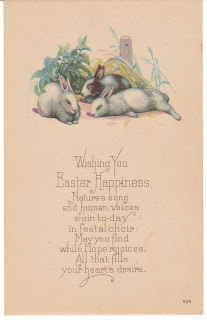 This lovely unused vintage Easter postcard is one of my favorites -- it has such a pretty illustration of three sweet bunny rabbits. 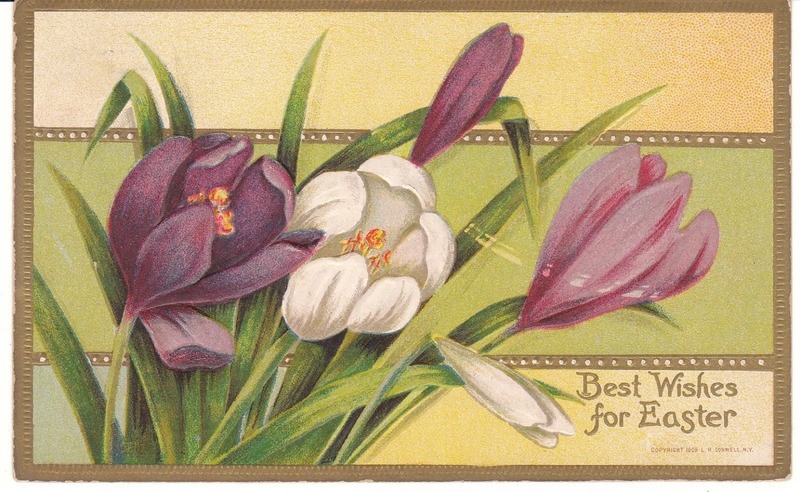 As always, you will find many more vintage cards - and books as well! - at Birdhouse Books. Come visit!